Cleaning out the old to make room for the new? Furniture, appliances, electronics and other large or unusual items are hard to get rid of properly. Instead of hauling your junk to a county drop-off location, just call Junk Guys USA at 334-721-5865. We offer junk removal services in the Deatsville, AL area. Tell us where your unwanted items are, and we'll haul them from your home or office in no time. You won't have to lift a finger. Make some space by setting up a junk removal appointment today. When the trash collectors in Deatsville, Alabama say no, our junk hauling team says yes. Call us today to arrange for a junk pickup service at your home or place of business. Give us a call at 334-721-JUNK or submit a Junk Removal request. We'll notice we have a local number... that's because we are a local small business. We offer quick service. After you submit a quote request our team will reach out to you to confirm your information. Junk Removal in Montgomery, AL has never been so easy! 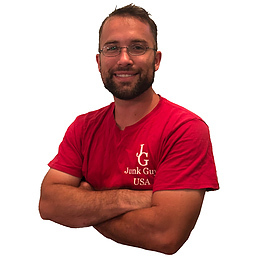 Junk Guys USA is the Highest Rated and Most Review Junk Removal Business in the Tri-County Area. Junk Guys USA is a full service Junk and Debris Removal service near you. We service the Montgomery, Prattville, Deatsville, Millbrook, Titus, Wetumpka, Pike Road, and surrounding areas. There's no need to look anywhere else for all your junk removal needs especially if you are looking for amazing service at an affordable price. Cheap Junk Removal in Montgomery is just a click away. 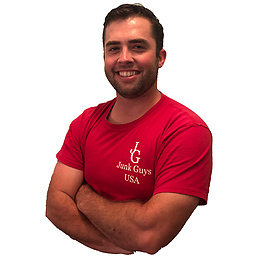 Junk Guys USA is a local small business in Central Alabama, we aren't a franchise like 1-800 Got Junk, Junk King or JDog Junk Removal. Which means we don't have franchising fees or huge overhead expenses, that way we can pass the savings on to you. Affordable Junk Removal means our prices are comparable to a roll off dumpster rental, the difference is we do all the heavy lifting. You don't touch a thing! Junk Pick Up and Junk Hauling in Montgomery is super easy for you now that you have found Junk Guys USA! When you need Junk Removal or Debris Removal in Montgomery what do you do? What can you expect from when you was our services? What type of material can be removed? Give us a call at 334-721-JUNK to schedule a free quote. You can send pictures of the items you need removed or we can come out to do an onsite estimate. You can also submit a Junk Removal request below by filling out the form and clicking submit. We will contact you to confirm your Montgomery Junk Removal appointment and send our team out the you during a time that works for you. Once our Junk Guys have all the old junk furniture and other items in our Junk Hauling Trailer we will process your payment. We accept cash, check, credit card, and PayPal. That's it, all your worries of where to take your old furniture and large junk in Montgomery are over. You can rest assured Junk Guys USA is an Eco-Friendly company too. Whenever possible we recycle your junk. We disassemble old mattresses, old couches, old hot tubes and more. We then separate the components and recycle what we can. If you are in need of a complete property clean out due to an eviction, post estate sale, or preparing a property to be rented check out our other services on our home page.